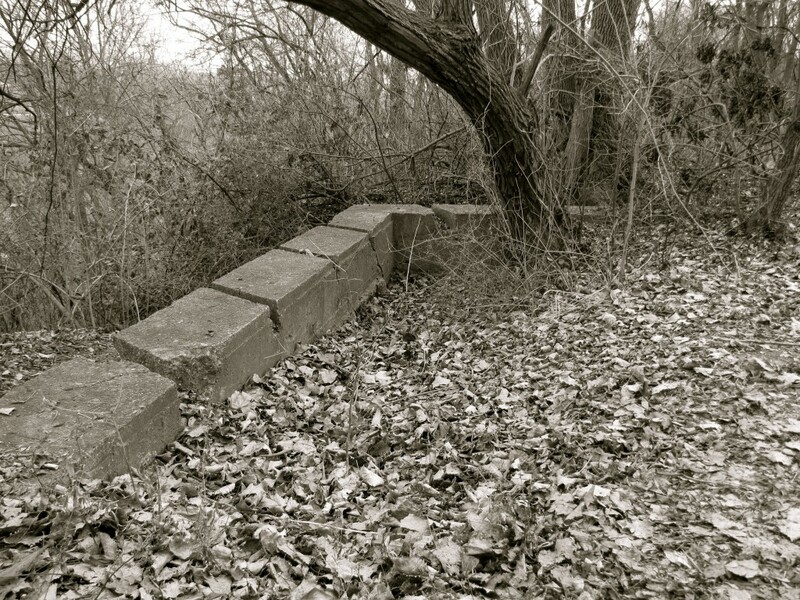 The foundation is all that remains of the Wisconsin Lakes Ice & Cartage Co. Center Street icehouse. The 350 x 100-foot icehouse, built in the late 1800s alongside the Chicago, Milwaukee & St. Paul RR’s “Beer Line,” was one of several icehouses on the upper Milwaukee River. The icehouse burned to the ground in a spectacular multi-alarm fire in June 1911 but parts of its foundation remain in the woods east of the Beer Line Trail. 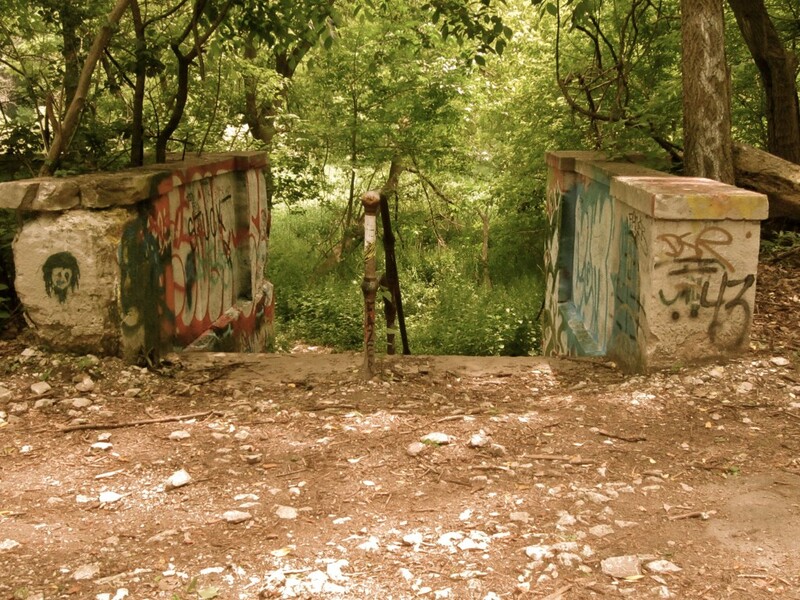 Deep in the trees along the west bank of the Milwaukee River near the Locust Street bridge is a strange sight: a century-old concrete retaining wall, with two sets of stairs leading down into a field of tall grass. The wall is all that remains of the Gordon Park bathhouse, a point of considerable civic pride when it opened one hundred years ago but ultimately cursed by its location and by steadily worsening water pollution.